Ultra bright flashlight assists you to see the movement of your pet clearly at night or any other dark areas, which can protect you and your pet as well. Gel-cushioned handle fits your hand well in walking, making walking comfortable. 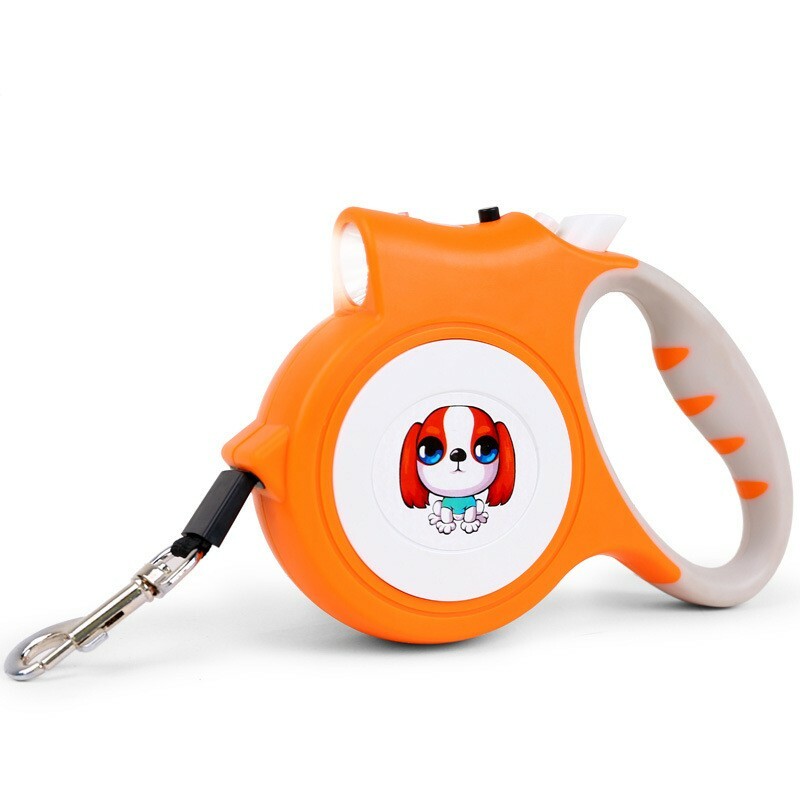 One-handed control system is easy to use, tangle free design offers increased freedom for pets. If you want to bring your pet to fly with you, the first thing you need to pay attention is the size of your pet. If your puppy is small (usually around 15 pounds)and the pet carrier has the right size to fit underneath the seat in front of you, then you are so lucky that you can bring your pet in-cabin with you.Some large or medium dogs might also be acceptable if you can prove that their accompany is for therapy or service. As different airline company might have different rules of pet flying, so if you want to take your pet go out for vacation or a visit, you need to consult with the company you want to use.